The War of the Cruzes. Life has become complicated for Element Cruz. Her mother is the most terrifying dignitary in the galaxy and wants Ellie dead. Her estranged father has been living a double life as a revolutionary. Her half-sister is an empath with an uncomfortable interest in Axel Ryan. It might be easier for Ellie to pretend her family never existed and start anew. When a plot to extinguish freedom in the galaxy is unearthed, however, more than Stardrives, lives, and love are on the line. Ellie must help Axel, Hendrix and her father in a race against time to stop her mother from destroying a space station. Loyalties are tested. Truths revealed. Boundaries broken. 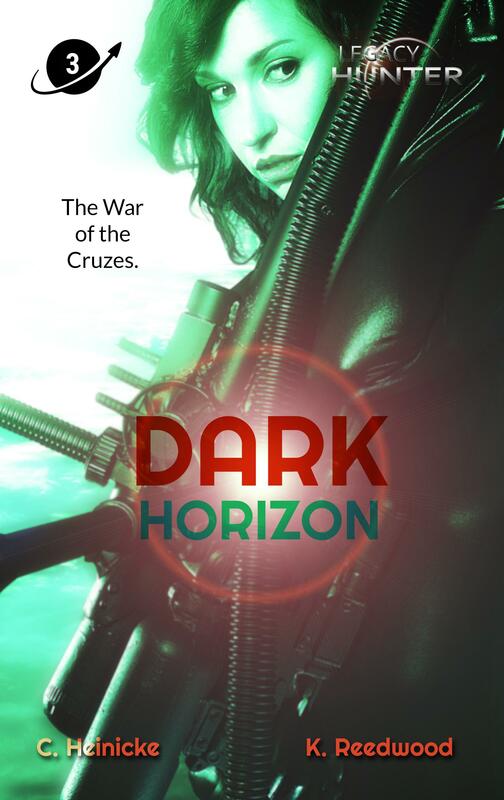 Can friend and foe put their differences aside and trust one another or is the future of humanity doomed to end in the War of the Cruzes?